The Biblical World: Friday Book Giveaway! Congrats to Cameron Coyle! 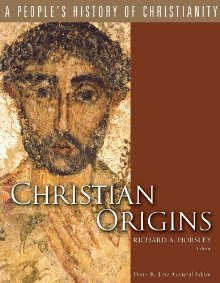 He is the winner of this week's giveaway Christian Origins: A People's History of Christianity edited by Richard A. Horsely (Fortress, 2010). Cameron, send your details to me at jbyron@ashland.edu and I will send the book out this week. Remember, you have five days to claim the book or it goes back on the shelf..